Welcome to Get Active Running where we cater for all your training needs, from complete beginners to seasoned athletes. We offer a wide range of services from one to one coaching, online coaching, trail running camps and workshops. The aim of Get Active Running is to help people get active and achieve their goals while having fun. 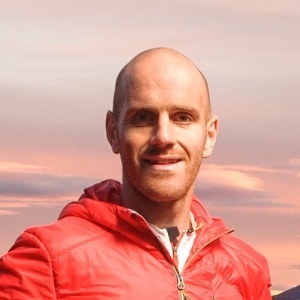 Donnie Campbell is one of Scotland’s top running coaches and is the founder and owner of Get Active Running. He has worked with numerous athletes varying from complete beginners to national and international level athletes who have all seen improvement in performance under his coaching. Donnie knows what it takes to be successful as he has turned from a 17 stone jogger to one of Britain’s top ultra runners representing Scotland and winning races all over the world. He is an ex Royal Marine Commando with a background in a wide range of sports from Mountaineering and Kayaking to Football and Shinty. However, his greatest passion is running which he has gone on to excel in. Donnie loves to help people and this can be seen in his charity work raising over £22,000 for a number of local charities on the Isle of Skye where he was born and brought up and was part of the local Mountain Rescue Team. His enthusiasm to help people get more physically active and achieve their goals while having fun led him to set up Get Active Running. Success. Coach Donald Campbell has been notified of your message.